Over a million motorists could be at risk of getting a hefty £1,000 fine for simple things such as having an out-of-date address listed on their driver’s license. 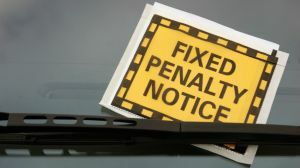 Small errors, like not informing the DVLA of a marriage or forgetting to update your address could result in drivers unknowingly breaking the law. These simple mistakes can be flagged up when, hiring a car or if stopped by the police, in this country or even abroad. Figures composed by comparethemarket.com show, an estimated 1.5 million drivers have incorrect details on their licence. It has been said that this could result in a staggering £1 billion in fines. It is also compulsory that driver’s license photos are renewed every 10 years, therefore along with failing to notify the DVLA of a marriage or address change – forgetting to update your photo on your license could also leave you finding yourself facing a large fine. You will find that it is usually free to update your personal details – bearing this information in mind, it would be sensible to ensure that all of your details are correct and up to date, to avoid being fined.